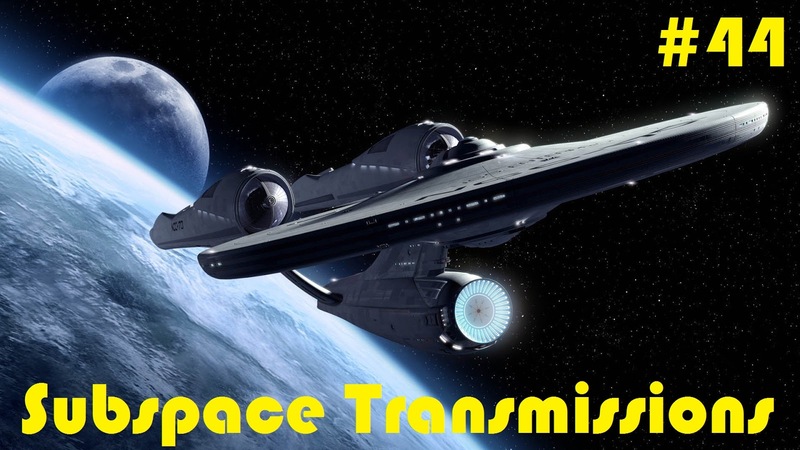 Subspace Transmissions: A Star Trek Podcast: EPISODE 44 - "THE CURRENT STATE OF TREK"
Looking forward, we have Star Trek Beyond and all of the festivities surrounding the fiftieth anniversary on the horizon! But is the franchise really in a good place? This week, in a candid dialogue, hosts Cam Smith and Tyler Orton check in with our beloved property and question how adequately the current status quo is paving the way for a bright future. Over the course of the discussion, the duo debate the difficulties and requirements of bringing Trek back to television, as well as weigh in on how the convention circuit will evolve and how the lack of HD Deep Space Nine and Voyager impacts their potential for gaining new fans. There's plenty of food for thought here, so join us and dig in!